Crawford sprang up as a tent city on land owned by homesteader-newspaper correspondent William E. Annin in 1886 when the Fremont, Elkhorn and Missouri Valley Railroad pushed through the Nebraska Panhandle. To incorporate the town, editor William Edgar supplemented civilian signatures with those of obliging soldiers stationed at nearby Fort Robinson. After the Burlington Railroad passed northward in 1887, Crawford became a supply depot and entertainment center for the Fort. Troops no longer man the "Outpost on the Plains," but the Fort, 3 miles to the west, remains as an important historic site and tourist attraction. Named for Army Captain Emmet Crawford, a Fort Robinson soldier, the city lies in the White River Valley in Pine Ridge country and serves an extensive cattle ranching and farming area. The Fort Laramie-Fort Pierre Fur Trail of the 1840s and the Sidney-Black Hills Trail active during the Black Hills gold rush of the 1870s both passed through this site. Crawford has been host or home to such personages as Sioux Chief Red Cloud; former desperado David (Doc) Middleton; poet-scout John Wallace Crawford; frontierswoman Calamity Jane; Army scout Baptiste (Little Bat) Garnier, shot down in a saloon; military surgeon Walter Reed, conqueror of Yellow fever; and President Theodore Roosevelt. 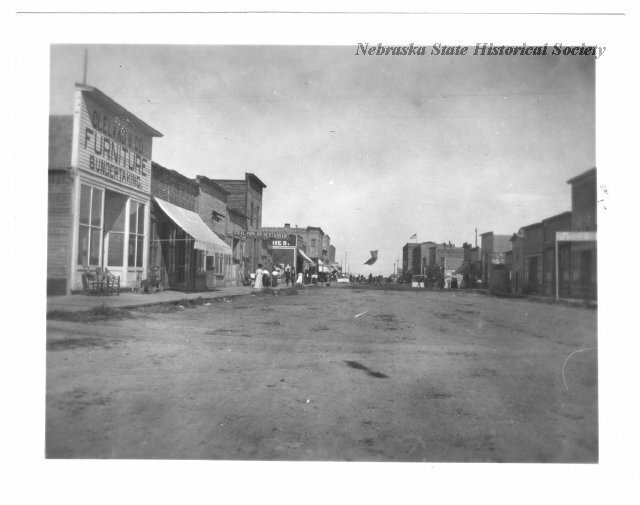 “Crawford,” Explore Nebraska History, accessed April 18, 2019, https://mynehistory.com/items/show/121.